IAC Delivery Solutions provide a nationwide service able to fulfil your exact delivery requirements. If you need to store equipment from your site in order to refurbish or otherwise work on it we can do this too. 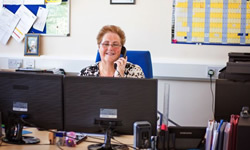 Let our friendly and helpful team talk to you about your delivery and storage options. IAC Delivery Solutions have been providing a nationwide bespoke storage and delivery service since 1996. We are a family-run company and can offer you the benefit of more than 50 years experience in warehousing, handling and delivery of catering equipment and furniture. Our main clients are in the catering equipment sector, including commercial kitchen designers, shop-fitters, suppliers to supermarkets and major food outlets. We specialise in manoeuvring commercial kitchen equipment such as refrigeration equipment, ovens (convection, deck and conveyor), food mixers and ice makers. We can co-ordinate multiple deliveries to ensure you receive a seamless, efficient service wherever you are in the country. We deliver nationwide and have large storage facilities in Sittingbourne, Kent and Doncaster, South Yorkshire. These secure and insured facilities mean your delivery of multiple items from different suppliers can be consolidated and transported in the most timely and efficient manner. At IAC Delivery Solutions, we pride ourselves on our attention to detail and personal service. 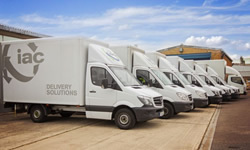 If you have a delivery, storage or consolidation problem, we probably have the solution – get in touch to find out why IAC are the commercial catering industry’s best kept secret.